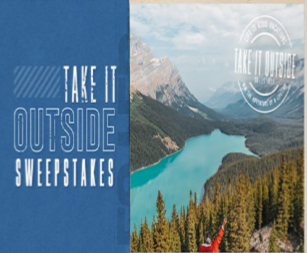 Life is Good ‘Take it Outside’ Sweepstakes – Win a Life is Good vacation & much more! Win a $1,000 Amex gift card, 2 bikes, a Life is Good vacation & more (2 winners)! SWEEPSTAKES ENTRY PERIOD – Promotion begins Sept 19th , 2018 at 12:01 A.M. EST and ends Oct 21st, 2018 at 11:59 P.M. EST.